Zappex International Ltd was Incorporated in the United Republic of Tanzania in August 17th 1999, and offer all services in the Freight Clearing and Forwarding industry. Zappex is centralized in Dar-es-Salaam, Tanzania located at Mnazi-mmoja, Worker’s Development Co- operation (WDC) Building second floor, with well Co – ordinated branches in ARUSHA, MWANZA, and TANGA. We have representation in all customs entry and exit points of Namanga, Holili, Rusumo, Kobero, Tunduma and Kasumulu. Being a member of five star freight Network, Fiata and Tanznaia Chemmber of Commerce we have internationally recorgnised associates World wide. 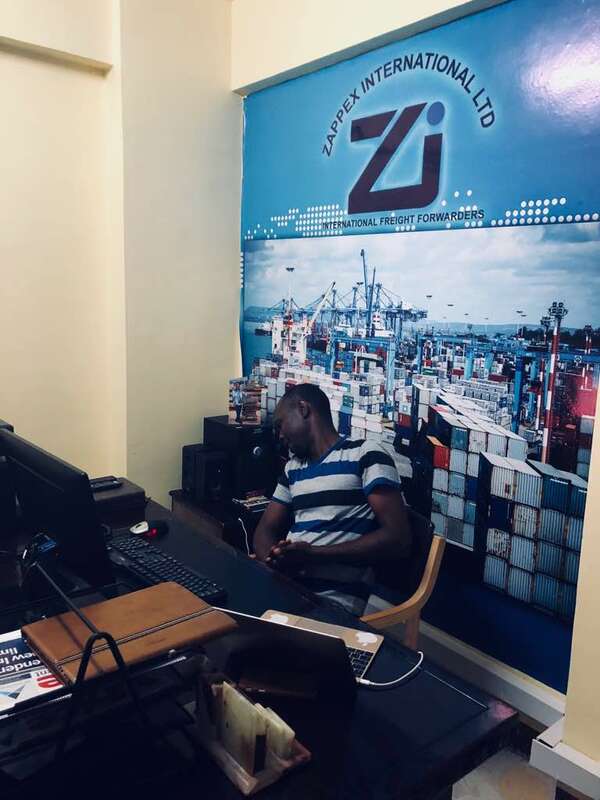 Zappex has grown to become one of the leading Freight forwader in Tanzania, with 15 yuothful, dynamic, highly qualified and well dedicated professionals in the fields of Freight Forwarding. Your consignments will be safe, moved on a timely basis to the correct place, along with the appropriate documentation and fitting your requirements at an affordable price. Be a team of people that are reliable.